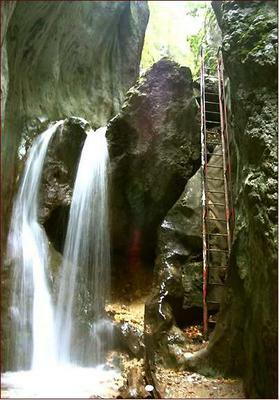 The Seven Ladders Canyon (Romanian: Canionul Șapte Scări) is a mountainous canyon carved by the Șapte Scări Brook in Romania in the county of Brașov, south of Timișu de Jos village. 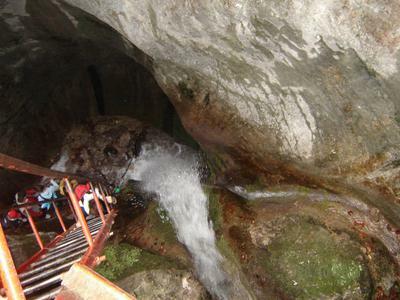 It is considered to be one of the main tourist attractions from the Piatra Mare massif. 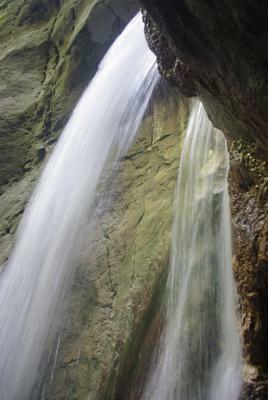 The canyon has been carved in limestone and is composed by seven waterfalls, the tallest having 35 metres (115 ft) high. 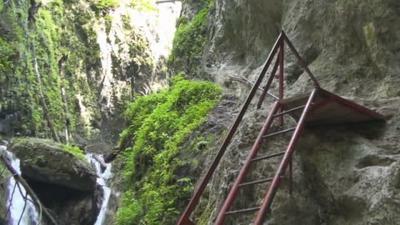 The trail within the canyon is arranged with metal stairs and platforms.